← Hundreds Of Migrant Kids Haven’t Been Reunited With Their Parents. What’s Taking So Long? 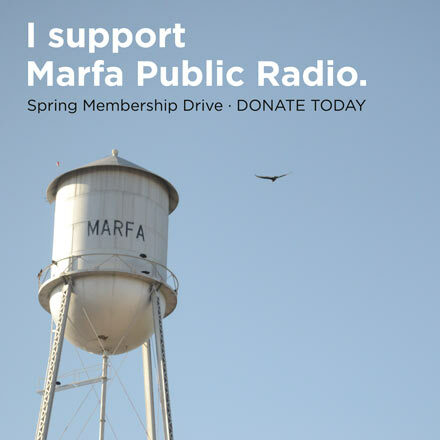 Artist Boyd Elder, celebrating a pledge drive for Marfa Public Radio in April 2013 (Tom Michael / Marfa Public Radio). Legendary West Texas artist Boyd Elder has died. His daughter, Shaula Elder, confirmed the 74-year-old’s death on Facebook Saturday night. The circumstances of Elder’s death are unclear at this time. Elder — who’s known for his work on several Eagle’s album covers, including the best-selling album of all time, 1976’s Their Greatest Hits (1971-1975) — lived in Valentine, Texas, where he worked on his art out of an old barn. Elder was born in El Paso, Texas but spent several years of his early childhood in Valentine, where his family had deep roots. His grandfather, a West Texas land and cattle baron, helped to plot the Valentine townsite in the late 1800s. But by the time Elder was in elementary school, his family moved to El Paso full time — much to his disappointment. But even after Elder’s family moved to El Paso, they would often visit Valentine during summer vacations and holidays. Soon, Elder’s bubbling interest in art grew from watercolors to pinstriping and painting hotrods that would blaze through the streets on El Paso nights. Elder’s high school teachers encouraged him to apply for art school and shortly after graduating, the native Texan headed West to the Chouinard Art Institute in California to study painting and sculpture. 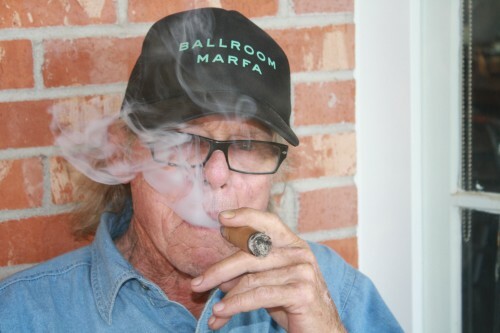 While in school, Elder would often drive up to Sunset Boulevard and hang out at the famed Troubadour nightclub — where he met musicians, painters, and writers, like David Crosby, Jackson Browne, and Joni Mitchell. In 1972, Elder put on a one-man show in Venice — El Chingadero. At the exhibition, a few of Elder’s friends played their first public show as The Eagles. The following year, in 1973, some of the work that Elder had displayed at El Chingadero was lost to a fire at his Valentine studio. With no local fire department to respond, the old family garage, which had become Elder’s makeshift studio, burned completely. He was left with nothing. But shortly after, Elder received two wild steer skulls, a bull and a cow. So he painted them — pinstriped — just like he would to the hotrods he loved as a teenager. One of those skulls, he covered in a soft blue, adding reds and yellows, feathers and even wings. It became the album art for the Eagles 1975 album One of These Nights. The artist continued his work over the years and was a well-known presence in the Big Bend. This entry was posted in KRTS News and tagged Boyd Elder, texas, Valentine. Bookmark the permalink.